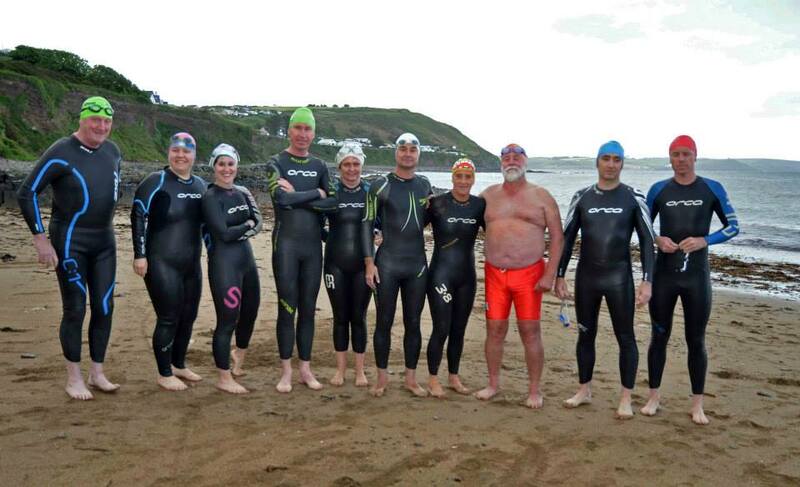 June 13th, 6.30pm: Eilis Burns will be bringing a group of new open water swimmers to Myrtleville on Tuesday, June 13th at 18:30. Any of the regular Myrtleville swimmers who can be around that evening to give any help would be appreciated. We just need swimmers used to the sea to join the group for the swim and watch out for anyone who needs some support. Some of the new swimmers in 2014 with Eilis and Mike Harris.